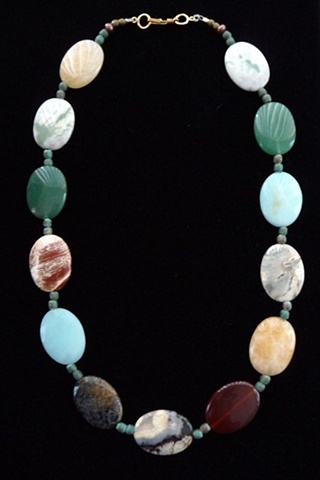 This necklace features stunning pieces of multicolored, oval cut agate. The colors are juxtaposed to emphasize both the colors of the mountains and ocean. Between each stone are metal beads with a lovely green patina.